Home » Bayern Munich , Beer , Germany , ghana , hamburger sv , Hertha Berlin , hopdays , Jérôme Boateng , Köstritzer Schwarzbier , manchester city » HOPDAYS: Köstritzer Schwarzbier, the Jérôme Boateng! HOPDAYS: Köstritzer Schwarzbier, the Jérôme Boateng! With so many other beer to footballer comparisons in the works, it was only natural for me to turn to a player that took part in the historic Brazil versus Germany match-up yesterday. 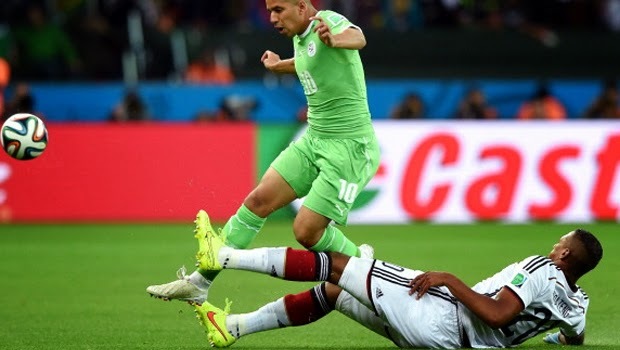 And while most eyes were on the big name stars, I believe that Jerome Boateng is one of the biggest components of the Germans' success in this year's World Cup. So with that in mind, I just had to write about a German dark beer that I absolutely love. Not to compare the color of the beer to Boateng's skin color of course, but let's face it, almost all German popular beers around the world are light color beers, just as every German football star up to now had been of the Caucasian "variety". The Köstritzer Schwarzbier is by far my favorite dark beer out of Germany. Just as Jérôme Boateng is quickly becoming my favorite German player with his always reliable performances, the beer also nearly never disappoints. 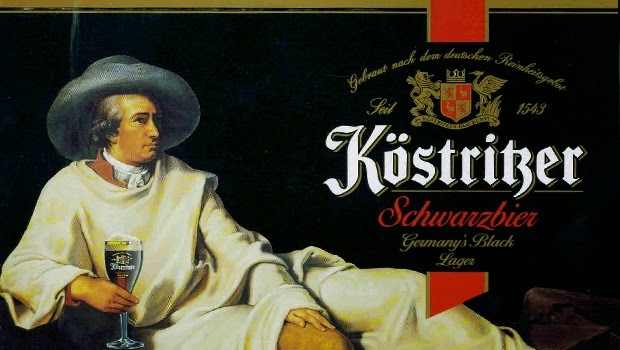 Although dark, the Köstritzer is a medium-bodied beer, just as Boateng is not the stockiest of center-backs. And as the player stands tall at 6ft4in, the beer pours a beautiful beige head of about two inches. The taste of the beer is not something I've never tried before, but just like the player, without the "bells and whistles" it does its job spectacularly with cocoa and chocolate aromas and fruit and coffee undertones. 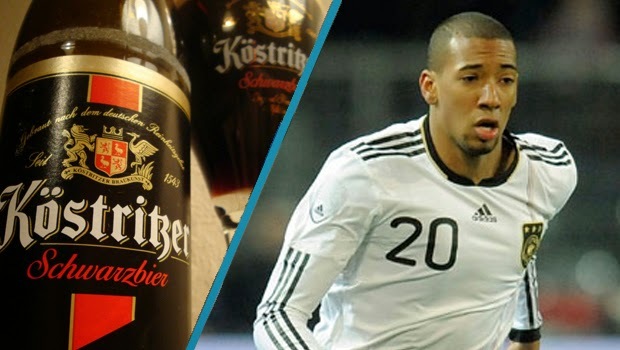 Jérôme Boateng is a reliable, mature, experienced center-back for both club and country, the same way the Köstritzer Schwarzbier has been relied on by Germans for a few centuries now. It is said that in time of illness, German writer Johann Wolfgang von Goethe sustained himself on the dark Köstritzer when he couldn't eat. In similar fashion, Boateng turns opposition attacks into nothing more than broken plays when the situation looks to be dangerous. The Köstritzer Schwarzbier is a dark beer that does not get annoying and can easily be enjoyed on a daily basis. It is not a huge brand name, in the same way there are many players on the German team that enjoy the spotlight a lot more than Jérôme Boateng. But at the end, as Köstritzer proved to be a better choice than many other big-name brews, Boateng seems to have settled in perfectly with Bayern Munich and the German national team, and is almost always a sure bet to be in the starting line-up. Both the brew and the player are solid choices!